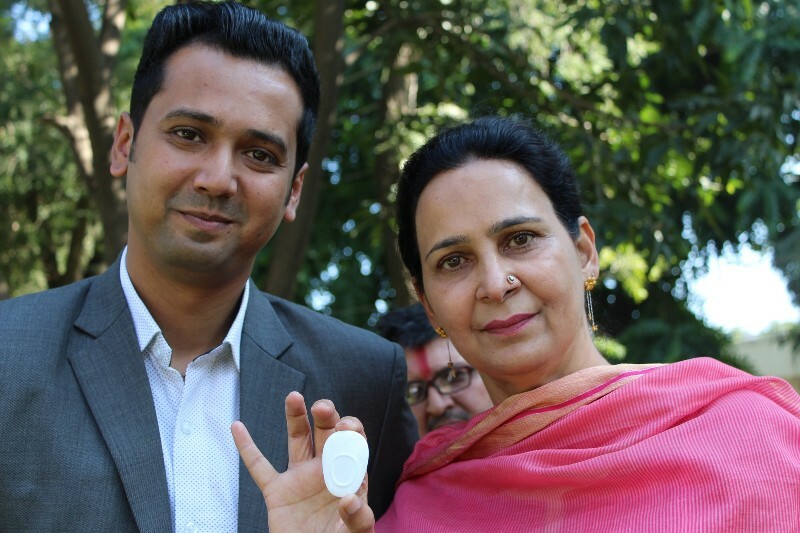 In effort to curb rising crime against women, provide safety to people in case of fire in high-rise buildings and commercial complex across the country, Navjot Kaur Sidhu, wife cricketer-turned politician Navjot Singh Sidhu presented two devices named ‘Wear Safe Tag’ and ‘Escape Chute ‘ here today. Mrs Sidhu, demonstrated the gadgets linked with smartphones during a press conference held at Chandigarh Press Club on Wednesday. The buttons of the gadget ‘Wear Safe Tag” could be used not only by women but also children and elderly persons during emergency or contrasting circumstances. This button can be fitted in pocket, purse, keyrings and in case of any emergency when pressed will send an alert on atleast 10 telephone numbers, configured by you, and inform them about your locations besides making them hear your voice. All group message receipt as a chat, could help control the situation. It could also be enabled for emergency calls. Mrs Sidhu also released “Escape Chute ‘ that could be used for the safe evacuation of people trapped in high rise building during fire or any other disaster. In overseas over 6,000 high-rise buildings have installed this equipment so far, while in India Maharashtra government has taken a lead by making its installation mandatory for multi-storied buildings. Its is a bag like pipe by which one slips down from the top to the lower floor. In case of emergency this Escape Chute may carry 30 people per minute. This Chute is made of fireproof material. Vijay Raj from The First Escape said a number of people lost their lives during fire or other incidents in high-rise building in absence of such equipment every year in India. Our effort is to make society more secure in collaboration with the Punjab government, he claimed.